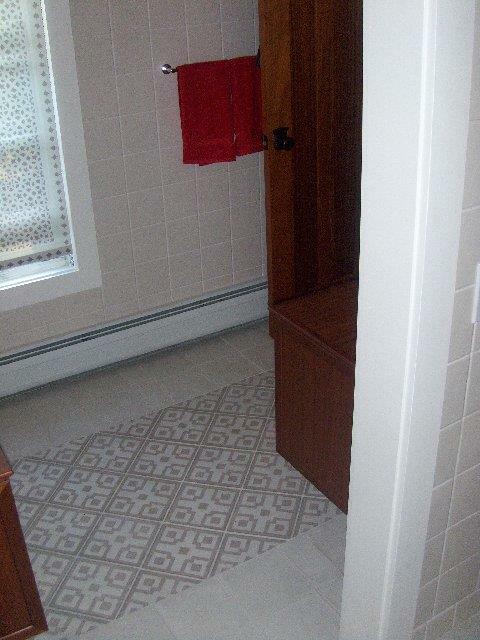 The contractors at Allure Home Improvement & Remodeling, LLC have been remodeling bathrooms for more than 12 years. If you're tired of looking at your avocado sink, call Allure Home Improvement & Remodeling, LLC for a free consultation today. The bathroom remodeling team at Allure Home Improvement & Remodeling, LLC has seen it all and will come prepared with modern styles and color choices to update your bathrooms. From selecting your layout, to choosing your style, to the installation of new fixtures, Allure Home Improvement & Remodeling, LLC's remodeling professionals are accessible and helpful. We'll deliver bathroom remodeling solutions to fit your needs and your budget. Allure Home Improvement & Remodeling, LLC bathroom remodelers take great pride in providing quality craftsmanship. We offer the finest quality materials to match your personal preferences and your budget. All of our work is guaranteed. Your bathroom remodeling project will not be complete until you are fully satisfied. Whether you're remodeling for your own benefit or to improve resale value, Allure Home Improvement & Remodeling, LLC will work with you to create a bathroom that meets your needs. We've been remodeling bathrooms since 2007. Call (203) 212-8252 today to find out how we can turn your outdated bathroom into a private oasis.